Russia’s leading aircraft maintenance service provider won the open tender for the contract in the summer of 2018. Under the arrangement, S7 Technics will perform C-checks on the Airbus A320 family of narrow-body aircraft and Boeing 767 wide-bodies operated by Air Astana. The deal means the Kazakh carrier has become the first international airline to agree such a long-term and large-scale contract with Russia’s S7 Technics. “We have found Air Astana’s professional levels and standards to be very high and the fact that the airline chose us as its long-term partner for its fleet maintenance needs means that we comply with these attributes,” enthuses Igor Panshin, deputy general director for marketing and sales at S7 Technics. 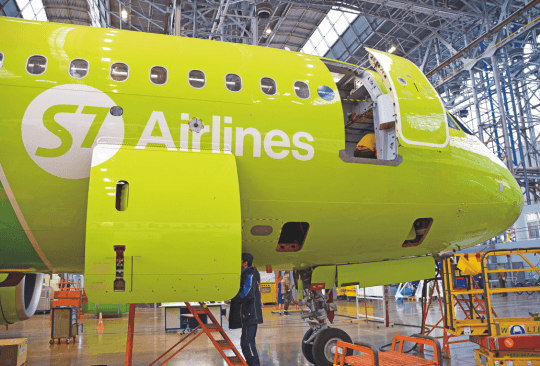 The airline has never [before] turned to maintenance service providers in Russia or the CIS, as it previously opted only for the leading maintenance providers of Asia and Europe. 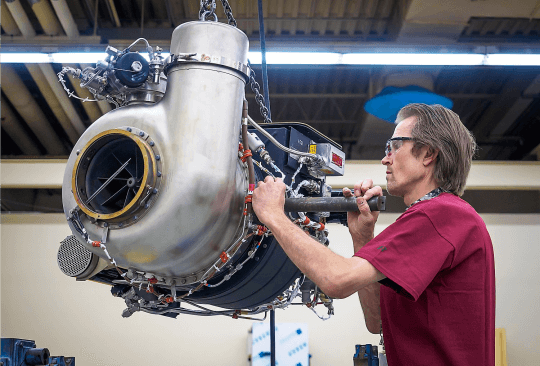 “We are confident that this new partnership with S7 Technics is proof that the level of continued airworthiness services for western-built airliners in Russia has improved significantly,” he adds. 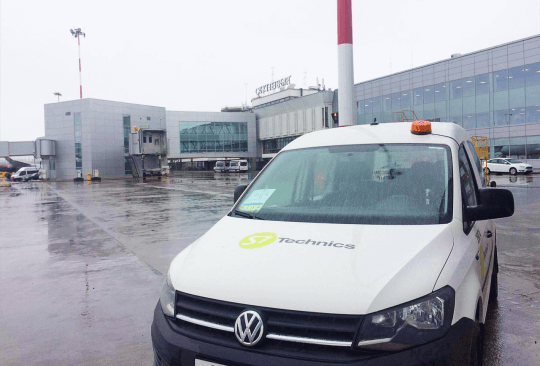 In the last few years the S7 Technics team has been continuously working on thoroughly improving the quality of its services and processes, and this effort has involved everyone at S7 Technics. “It is an improvement effort with a beginning, but no end. And I hope that the airline will be satisfied with the results of our long-term cooperation,” comments Igor Panshin. “Last week, in strict accordance with the agreed timeframe, we have completed our second check this year, and we’ve got three more scheduled before the summer at our Mineralnye Vody and Novosibirsk sites. 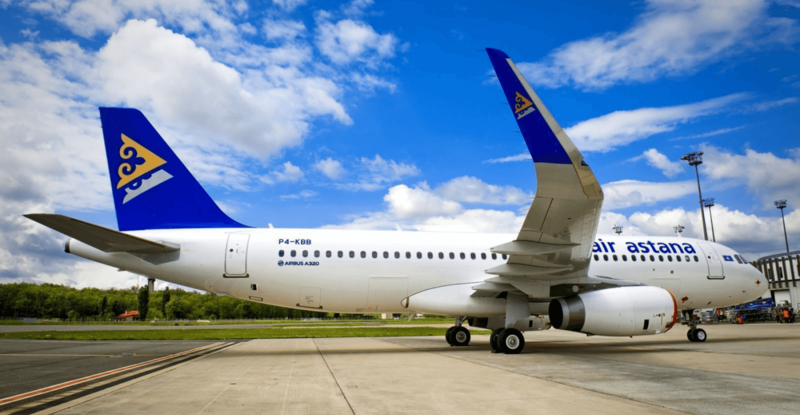 In total, there are more than 40 base maintenance checks on Air Astana aircraft scheduled for completion at our sites up to the 2023-2024 timeframe,” Panshin adds. Apart from Air Astana, S7 Technics enjoys successful co-operations with other leading airlines from within the CIS. The company’s Mineralnye Vody base also provides regular maintenance checks under contracts with international leasing companies. The fact that S7 Technics remains committed to confidently continuing with its participation in competitive tenders issued by foreign operators is a development that signals proof that Russia is now capable of delivering high-quality aircraft maintenance services. 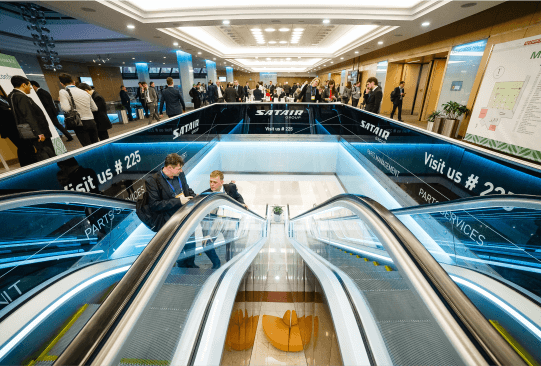 S7 Technics to participate in the MRO Russia & CIS 2019 Moscow conference and exhibition"